… That’s fashion by Instinct Sportswear. A young family startup by Nina and Micha. I met the two founders at a Kite Surf Masters event in Sankt Peter Ording (Germany) and learned more about their mission and vision. 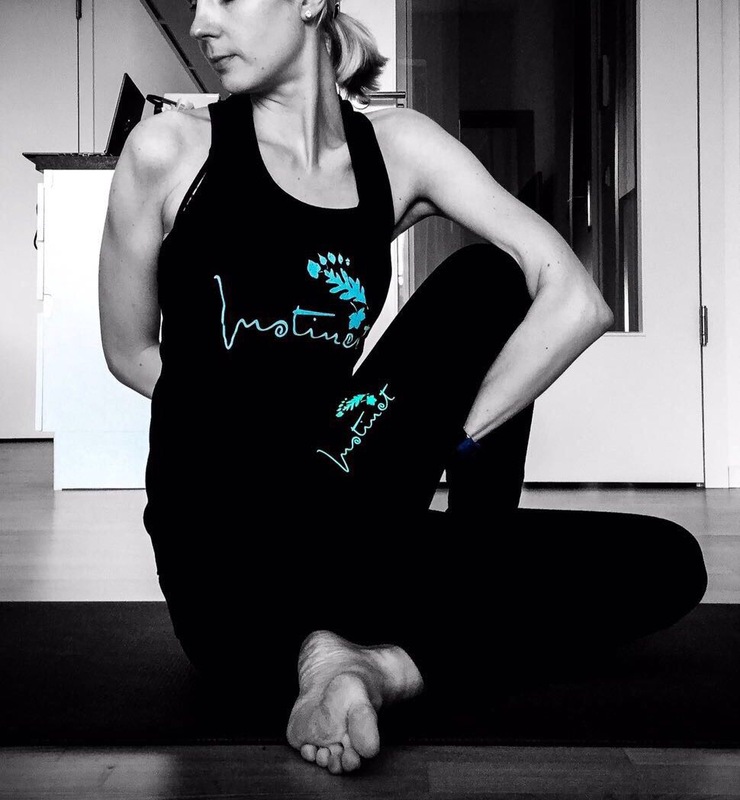 Two of the most important things for the two Instinct Sportswear designers is comfort and fun during the yoga practice or/and workout. Sports clothes need to be comfortable and it should feel good to wear them, according to Micha. So, I became curious … and lucky me, I got the opportunity to try their yoga pants and tank top to test it and see it for myself. And YES! I have tried many different yoga pants from different brands so far, but this one is one of the most comfy ones. The look and feel convinced me right away, but when I tried it on, I knew I liked it a lot. The 100% organic cotton makes them very soft and as a big plus: there won’t be any pollutants coming out of your clothes when you’re sweating during your practice or workout. Why? Because they only use organic cotton and materials from factories that treat their sewage. Thumbs up! Micha and Nina are both surfers and love the ocean, so it was just a matter of time until the two creative minds had another great, sustainable idea! Their new collection “Ocean Waste Line” with “functional textiles” made of recycled materials like, for example, nylon fishing nets, which usually end up as ocean waste and where animals get stuck and die miserably in. Yet again, a beautiful and sustainable idea for everyone: us humans and the environment.